Today, it is a great pleasure to interview fellow Fangirl, Amanda Cherry aka @MandaTheGinger on Twitter. MandaTheGinger is an actor, author, mom, and nerd who recently returned to the Seattle area from a year abroad in Berlin, Germany. She’s a contributor to Tosche-Station.net who never misses the opportunity to extoll the many virtues of Princess Leia. I became aware of Manda through my interaction with her in the Star Wars Fan Community via Twitter. Welcome Manda to The Adventures of The Everyday Fangirl. 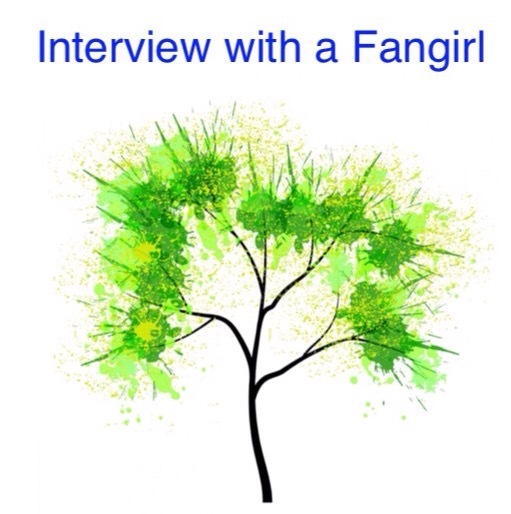 It is an honor that you took the time to answer these questions about being a Fangirl. I think the first time I saw the term in use, I was like, “Hey, that’s me!” I’m super into the things I’m into, and I love that there’s such a thing as the FANGIRL moniker- I wear it with pride. Oh, gosh… there’s a long story here. I’ve written fanfic since before that term had been coined, and years ago I was bullied out of a fandom by people who decided (for reasons unknown to me) that they didn’t want my writing on their website. That scared me away from engaging with fandom online AT ALL. Many years later, I had a fan (now friend) reading a Star Wars fic I wrote encourage me to come talk SW on Twitter. And I’m so glad she did! I started out following Pablo Hidalgo and it just grew from there. Now I follow and am friendly with several well-known Star Wars personalities and bloggers, have had articles published, am a contributor to Tosche-Station.net and the Thrawncast, and ChairPrincess of the Carrie Fisher Memorial gala during Celebration Orlando. All of that is thanks to Twitter. I was even able to trade tweets and be friendly with Carrie Fisher before she passed. Had it not been for social media, that could never have happened. I absolutely credit the online community of Star Wars fans and pros for the awesomeness that is my life these days. You can probably look up exactly what year this was, but my guess is that it was 1984 or so. We had HBO at home and they were showing all three Star Wars films back-to-back-to-back. My mom had it on while I was playing and I looked at the TV just in time to catch the speeder bike chase in ROTJ. And there, on my TV, was a lady – with flawlessly braided hair – out-shooting and out-flying these guys who were clearly professional soldiers. And I was enthralled. I said something to my mom about it, and she told me, “That’s Princess Leia.” Now, can you imagine a more exciting thing to a 4 year-old girl than that? SHE’S A PRINCESS!!!???!!! That was the greatest thing ever. I sat and watched the rest of the film only to learn that she also has THE POTENTIAL FOR MAGICAL POWERS!! And thus began my life-long love of Leia Organa. I have learned that fandom is what you make of it, that there are good and bad people with good intentions and bad intentions anywhere you care to venture, and that maintaining a good circle of positive, inclusive, trustworthy people is key to happiness. These are all lessons that have come out of fandom and made everything in life better. Although Star Wars pretty much takes up my life right now, I’m also into other things. I’m a big fan of Star Trek- The Next Generation being my absolute favorite of the properties. I was even part of a Star Trek fan series years ago. And I’m a Harry Potter fangirl as well. I spent five months working at Harry Potter: The Exhibition, and it was the best job ever. I’m a poster girl for Slytherin- I even coach the Slytherin team during the Rat City Rollergirl’s Hitditch Cup! We fangirls need to stick together. Seriously. When I see or hear women in fandom tearing each other down it really bothers me. There are enough things in this world that work against women that we’re not doing anyone any good when we turn on each other. Disagreements can and will happen, but in the end women in fandom need to have each other’s backs. Anything else you want to share with us that is coming up soon? I am the ChairPrincess of the Drowning In Moonlight gala honoring the life of Carrie Fisher during Star Wars Celebration Orlando. During Celebration, I will be onstage as moderator of the anti-bullying panel on the Star Wars University stage and a performer in “Whose Line is it, Alderaan?”. Thanks again Manda for taking the time from your very busy schedule to answer these questions.